Also, please read Promoting Scientific Inquiry. 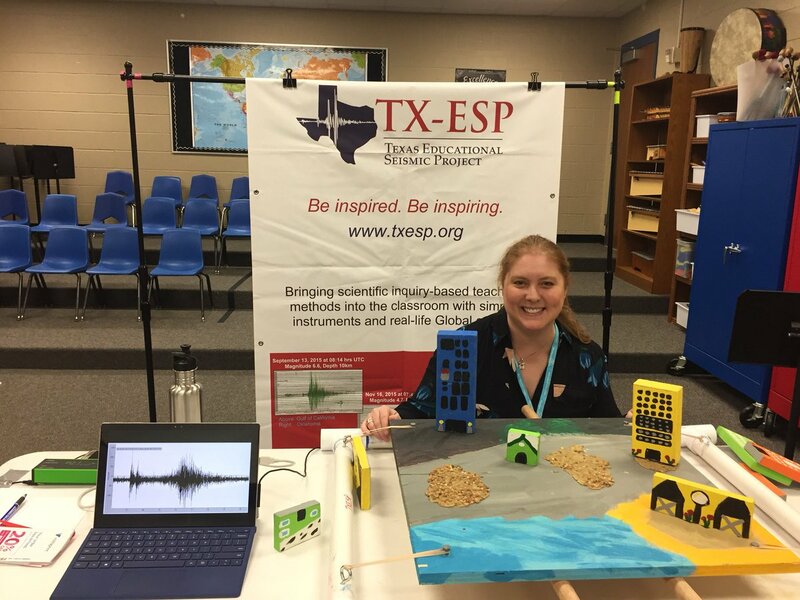 TXESP uses seismology as a medium for inviting students and teachers into the world of science research by using inquiry-based learning activities. This is accomplished through investigation of earthquakes recorded by educational seismographs in classrooms. The experiences our students have with investigating what is recorded on their seismograph ( or not recorded!) are a valuable positive step in the direction of encouraging inquiry-based science education. TXESP is a 501c3 Non-Profit Public Charity which focuses on STEM educational outreach and collaborative research with the Boston College Educational Seismology Program (BCESP). It is operated out of Spring, TX with a goal to bring new schools into the Project from the Houston and Dallas/Fort Worth Metro Areas. Our partner, BCESP, is operated by Boston College’s Weston Observatory (a research and science education center of the Department of Earth and Environmental Sciences). Our common goal is to enhance science education by offering opportunities for students and their teachers to be directly involved with research scientists – in Texas and New England – as part of their experience in school. Through these types of educational partnerships, we can make a difference in the lives of young people by providing them with the level of science education, critical and analytical thinking abilities, and solid problem solving skills that will empower them as citizens. Involvement in this Project gives students of various ages and in various socio-economic circumstances an opportunity to learn about science as it is actually practiced, rather than only through textbooks. The science of seismology forms an excellent foundation for this endeavor because: (1) it is an interdisciplinary science that requires understanding a wide range of STEM concepts, and (2) it teaches students how the natural environment impacts our everyday lives. Thus, seismology offers numerous possibilities for introducing students to the nature of scientific inquiry and leveraging cross-cutting disciplines’ activities enhancing their experience of science, technology, engineering and mathematics. It is truly fascinating that it is possible to record earthquakes that occur across the globe using seismographs. Seismographs measure the pulse of the Earth, and provide direct information about earthquakes, plate tectonics, and the structure of the Earth’s interior. Having their own classroom seismograph, highly visible every day, gives students a way of collecting real-world data and making measurements that provide them with an understanding of the internal structure of the Earth and processes by which the Earth changes. Lastly, the constant ground motion monitoring pushes students’ minds to think in 4 dimensions – comparing events across different time ranges. Vertical School Seismometer, available commercially from Ward’s Natural Science.